My introduction to Hart Island came through the Brittany Murphy/Michael Douglas thriller, Don't Say A Word. In the film, Brittany's character witnesses the murder of her father when she's a little girl. With no next of kin, and therefore no one to claim the body at the New York City morgue, he's buried in a potter's grave on Hart Island. The girls sneaks onto the ferry loaded with his pine coffin, memorizing the identification number carved into its top, and she becomes a ward of the state. She grows up in institutions because, as the plot unfolds, it's revealed that's where she's felt safe from the men who murdered her father. He was killed for something they wanted, something her father hid in her doll, which she snuck into her father's pine coffin. It wasn't long after that I realized Hart Island is a real place. Located just off the Bronx in the Long Island Sound, Hart Island had, at various times in its history, a workhouse, a hospital, prisons, a Civil War internment camp, a reformatory and a Nike Missile base. Currently, it serves as the city's potter's field and is run by the New York City Department of Correction. Surrounded by the decaying ruins of the island's past, inmates on Riker's Island are paid fifty cents an hour to bury the unclaimed dead in mass graves, in nondescript pine boxes just as the movie portrayed. I took this as I searched for those deemed "unworthy" of a burial on the consecrated grounds at Highland Cemetery. I've said in previous posts (here and here) that you can learn a lot about a place by how they treat their dead. 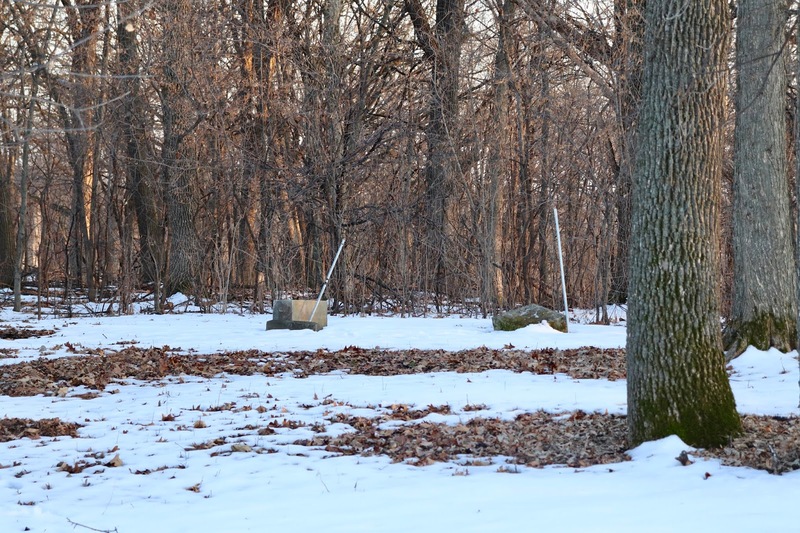 Turned over headstones at the abandoned Middle Creek Historic Cemetery. In the 1850s, New York State passed a law that was praised nationwide for its resourcefulness but denounced by the the poor and immigrant populations that would fall prey. If your family couldn't afford the cost of a private burial, then you would be donated to the medical or funeral schools in the city for study (of note, these schools have since announced they would no longer continue this practice) before being buried in a potter's grave on Hart Island. It was soon revealed that even if families could afford a private burial, a "mix-up in paperwork" would occur, causing the deceased to be sent to Hart Island anyway instead of the family's plot. Only when it started happening to rich, white, prominent men did the mistakes spur an outcry in the city. This has been documented in a New York Times investigation published in 2016. The sins of the past commingle with the present, and a non-profit The Hart Island Project seeks to right these wrongs. They work to put a name to the identification numbers, and record the stories of their lives. A scroll through the site reveals burial information that date back only to the 1980s. "Buried for" timers track how long each ID goes unnamed, and those that have been identified, announce a "Found after" span of time since they were put into the ground on Hart Island. Over 1 million people are buried there. In my opinion, the history of the Island of the Dead served only to hide the individual tragedies, and with it, the failures of a system that ensure such mass graves are the ultimate indignity. It's often assumed families will oversee burial arrangements, but what happens when the families are outlived, or outside the country? What happens when the dead fall through the cracks of a system that merely seeks profit? I'm grateful to the work of The Hart Island Project. The dead are finding their identities again. They're getting their names back. Their stories are being told. This year, a city council man proposed moving Hart Island under the care of the NYC Parks Department. Currently, relatives that can prove a family member is buried there are allowed to visit but only on specific days and only if accompanied by a prison guard. The relatives aren't allowed past a certain point. Their perspective is merely that of a field. There are no gravestones. No trench markers. Nothing to pinpoint where their loved on is buried. They're just, there. And that's what I find most heart-breaking. My husband and I have family plots to visit. We know where our loved ones are buried. They have tombstones that identify them by name, with a dash between two dates that symbolizes their lives. They were loved, as they are in death, and we can leave flowers behind in remembrance. Families of those buried on Hart Island are denied this. Since The Hart Island Project is run completely by volunteers, this page details how you can help the mission. I REALLY hope this proposal goes through - Hart Island is top, top, top of my list of places I'd like to visit! Everything you said ... SAME.